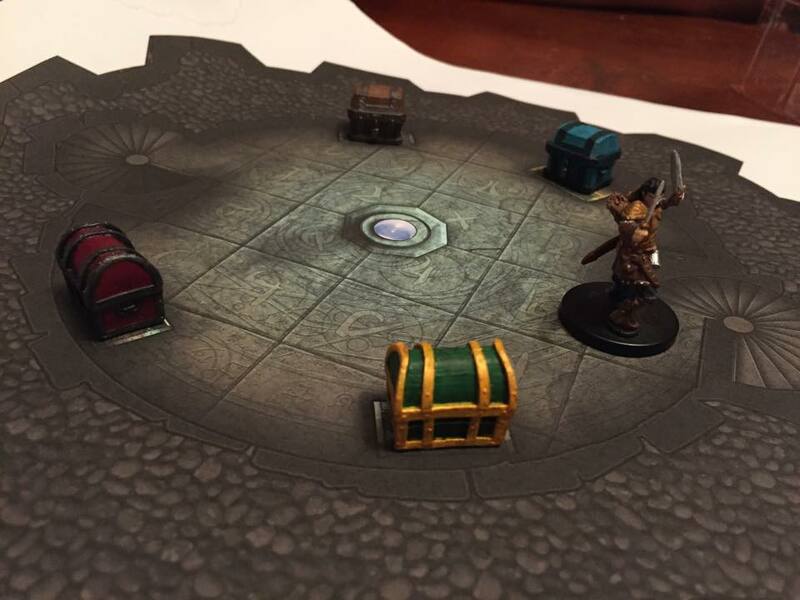 Darvis the bard discovers some treasure chests. I’ve played a lot of Dungeons & Dragons’ 5th edition, but I still haven’t decided to dive into their published adventures. As I wrote before, I ran the Lost Mine of Phandelver for awhile. I enjoyed the general storyline of Tyranny of Dragons. Though I enjoyed the dungeons of Princes of the Apocalypse, the adventure doesn’t give players a lot of reasons to care about clearing out the Temple of Elemental Evil. There’s also one issue I have with D&D’s low-level adventures: My players are experienced and they don’t want to have to play two sessions to earn their class’ main features. So I wrote my own adventure. In The Search for Xander’s Orb, I lead three friends on a search for a magical, crystalline orb. They found who stole it, they hunted him down and they killed him. Now that they had the orb, what should I make them do? Playing on the The Mage’s Tower map from Heroic Maps. Then the wonder Heroic Maps had a sale at DriveThruRPG. I locked onto their “The Mage’s Tower” map, which features seven interconnected levels of a wizard’s tower. I decided they would have to ascend the tower and deal with all the traps, monsters and spells the wizard would have set up in defense of the tower. Of course, it would also be overrun with the orc raiders that have been hassling the adventurers since the beginning. This was going to be easy. Right? There was also the matter of miniatures. I wanted to have some crazy stuff in there, such as animated armor and swords that would attack the party. There are no animated sword miniatures that I’m aware of. So I made a flying sword mini as well as a pair of flying books. I also had to modify the flying sword entry (I used the guide in the 5th edition Dungeon Masters Guide) to create monster stats for the flying books. 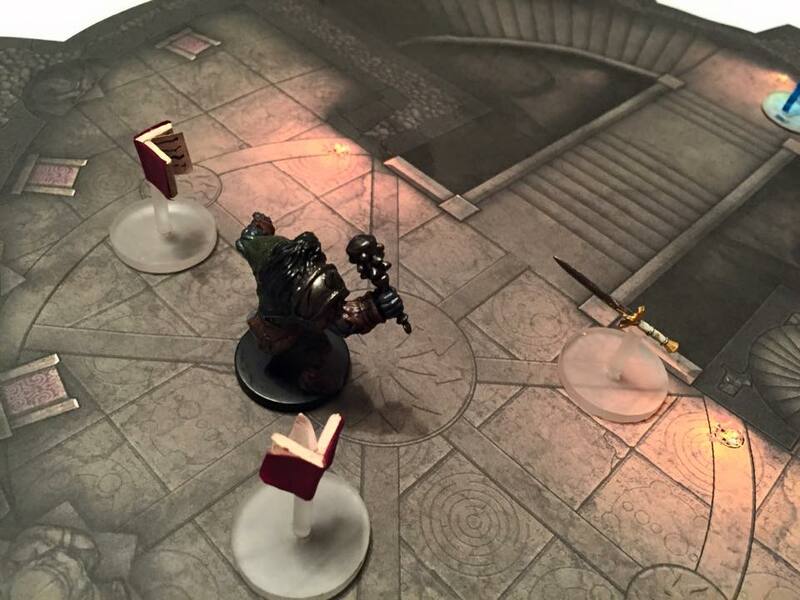 An orc deals with a flying sword and a pair of flying books inside the wizard’s tower. I also weaved in the NPCs from the previous adventure, and I had them offer the party additional jobs. After some work, I had a 19-page adventure book (plus maps!) for The Wizard’s Tower. 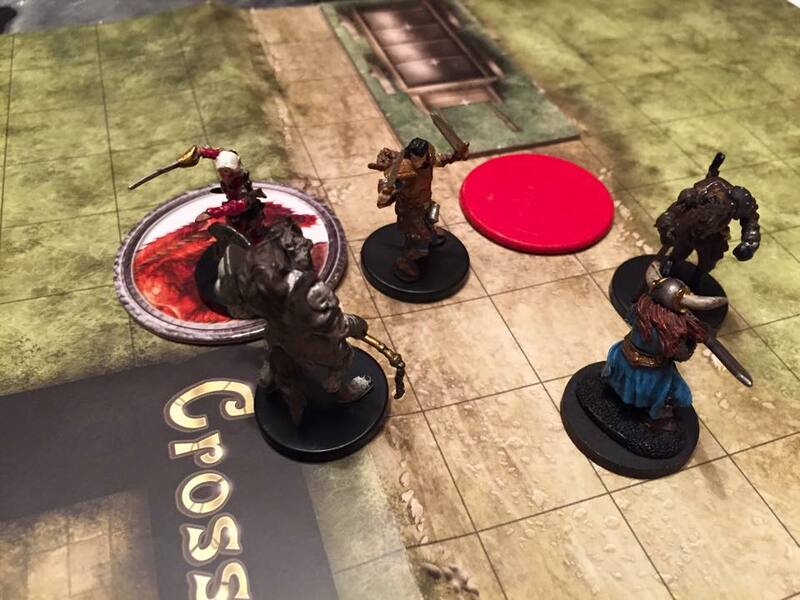 The party gets ambushed by some nasty gnolls. As usual, I wrote the adventure (and did all that pesky XP math) with five PCs in mind. So on the fly, I removed some monsters so as not to absolutely destroy the players. First, they had to decide to whom they would sell the magical orb. I wrote in some flavor material about the multiple interested parties and what might happen depending on whom they chose as the buyer. In the end, they went with the king. No surprise as that’s who they were working with all along. And instead of heading directly to the wizard’s tower, they decided to first take a job delivering some goods. That ended up being fun as a random encounter table I created caused their wagon to break and, later, to be attacked by some vicious gnolls. I didn’t count on the party’s bard casting invisibility and waltzing through the tower pretty much unnoticed. He continually rolled high stealth checks and cast Sleep several times on unsuspecting creatures. They made pretty quick work of the first few levels of the tower, but they did nearly get taken down by a green dragon wyrmling and a magmin that had been let out of their cages. By then, it was 2 a.m. Time to go to bed. The party must still ascend more than half of the tower. They discovered some story seeds I planted along the way as well. And in choosing the to sell the orb to the King, they upset the other buyer at the Thieves Guild. For the next session, I probably won’t write another dozen pages. But I will have to prepare more jobs, tasks and consequences for their actions. I already have a lot of ideas stirring in my mind. Have you crafted a 5th edition adventure or another homebrew campaign? Tell us about it in the comments. I too have written a couple of adventures for 5E and I have to say I like the ease of doing so, apart from – as you say – the fiddly xp calculations. 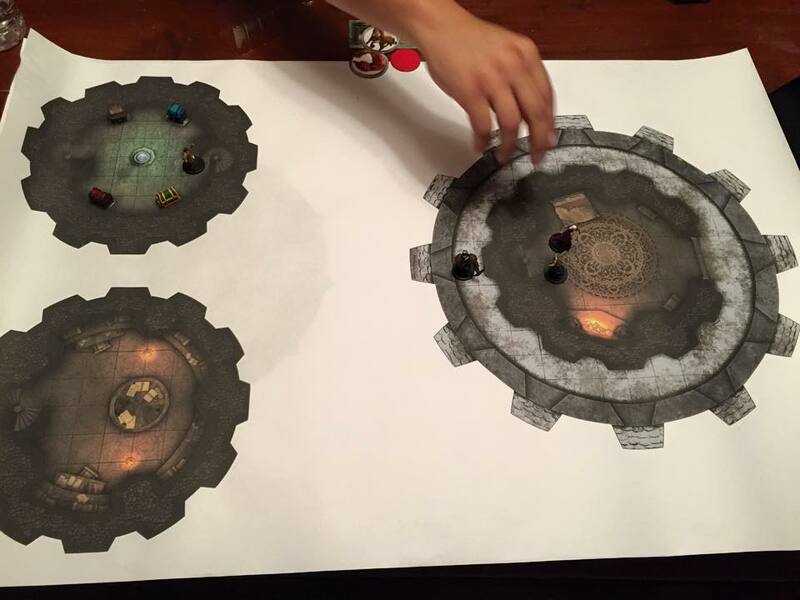 I am a new convert to Heroic Maps and looking at your table makes me want to incorporate some of their stuff into my own writing of adventures rather than making my own maps all the time. Thanks for the play report – it is awesome. The flying books look very cool too! I’ve already been trolling their page looking for more maps! They are pretty good inspiration for encounters and dungeon designs.